The “Lunker’s Guide” Fishing Report. We have lots of great fishing going on this week. Several areas have opened to salmon retention making for a great opportunity to have some summer fun fishing and catching salmon on the grill. Here is an update for all the areas open for salmon retention. Chambers Creek – Fishing regulation area (714) from mouth (Burlington-Northern RR Bridge) to the markers 400′ below the Boise-Cascade Dam. SALMON July 1st – Nov. 15th Min. size 12″. Daily limit 6. Up to 4 adults may be retained. Release wild COHO. SALMON July 1st – Oct. 31st Min. size 12″. Daily limit 6. Up to 3 adults plus 1 additional PINK of which only 2 may be any combination of COHO and CHUM. Release wild CHINOOK. SALMON July 1st – Nov. 30st Min. size 12″. Daily limit 6. Up to 2 adults may be retained. Deschutes River – Fishing regulation area (728) from the Old Hwy. 99 Bridge on Capitol Blvd. in Tumwater upstream. SALMON July 1-Oct. 15 Min. size 12″. Daily limit 6. Up to 2 adults may be retained. Release COHO. Skokomish River – Fishing regulation area (834) from Hwy. 106 Bridge to Hwy. 101 Bridge. Note: CLOSED Monday- Thursday each week. New bobber rule will be in effect. Dickey River – Fishing regulation area (402) from Olympic National Park boundary upstream to the confluence of the East and West forks. Calawah River – Fishing regulation area (400) from mouth to Hwy. 101 Bridge. Quinault River – Fishing regulation area (412) from the mouth at upper end of Quinault Lake upstream to Olympic National Park boundary. SALMON July 1st – Sept. 30st Min. size 12″. Daily limit 6. JACKS only. Single-point barbless hooks required. Chehalis River – Fishing Regulation area (317) from mouth (Hwy. 101 Bridge in Aberdeen) upstream to South Elma Bridge (Wakefield Rd.) including all channels, sloughs, and interconnected waterways. SALMON July 1st – Nov. 30st Min. size 12″. Daily limit 6. Up to 3 adults may be retained. Release adult CHINOOK. Columbia River – Fishing regulation area (537,539) from Priest Rapids Dam to Rock Island Dam. SALMON July 1st – Aug. 31st Min. size 12″. Daily limit 8. 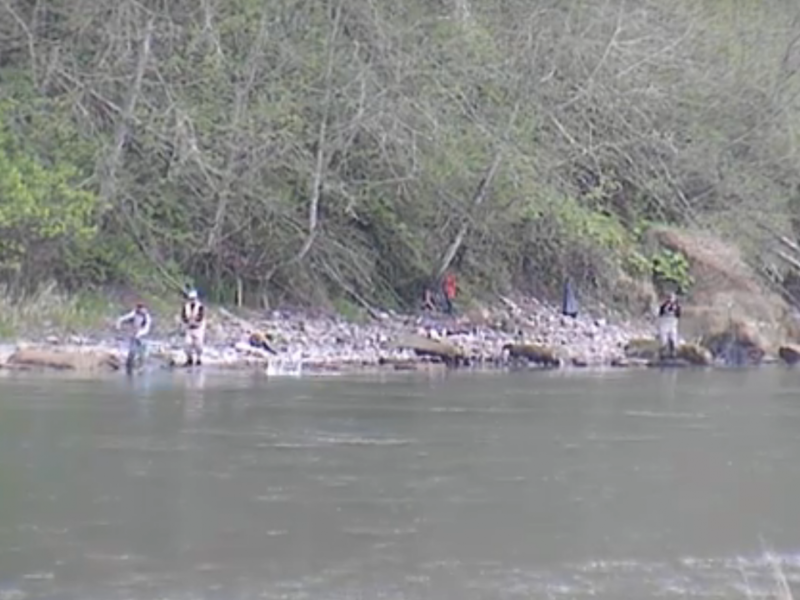 Up to 2 may be adult hatchery CHINOOK and up to 6 may be SOCKEYE. Release COHO and wild adult CHINOOK. Areas (537,539) from Priest Rapids Dam to Rock Island Dam. SALMON July 1st – Oct. 15th Min. size 12″. Daily limit 8. Up to 2 may be adult hatchery CHINOOK and up to 6 may be SOCKEYE. Release COHO and wild adult CHINOOK. Area (545) from Wells Dam to Hwy. 173 Bridge at Brewster. SALMON July 16th – Aug. 31st Min. size 12″. Daily limit 8. Up to 2 may be adult hatchery CHINOOK and up to 6 may be SOCKEYE. Release COHO and wild adult CHINOOK. Area (545) from Hwy. 173 Bridge at Brewster to Chief Joseph Dam. Chelan River – Regulation area (552) from the railroad bridge to the Chelan P.U.D. safety barrier below the power house. SALMON July 1st – Oct. 15th Min. size 12″. Daily limit 8. Up to 2 may be adult hatchery CHINOOK and up to 6 may be SOCKEYE. Release COHO and wild adult CHINOOK. Anti-snagging rule and night closure. Okanogan River – Regulation area (627) from mouth to Hwy. 97 Bridge immediately upstream of mouth. SALMON July 1st – Oct. 15th Min. size 12″. Daily limit 8. Up to 2 may be adult hatchery CHINOOK and up to 6 may be SOCKEYE. Release COHO and wild adult CHINOOK. July 1-Oct. 15: anglers may fish with two poles with Two- Pole Endorsement. Area (627) from Hwy. 97 Bridge upstream. SALMON July 1st – Sept. 15th Min. size 12″. Daily limit 8. Up to 2 may be adult hatchery CHINOOK and up to 6 may be SOCKEYE. Release COHO and wild adult CHINOOK. SALMON – July 1st – Aug. 15th CHINOOK – min. size 22″. Other SALMON species – no min. size. Daily limit 2 (combined) plus 2 additional PINK. Release wild CHINOOK, wild COHO, and CHUM. See Kydaka Point Closure in WDFW reg book. Season may close earlier if CHINOOK guideline is attained. Marine Area 6 – From Low Point east to the Partridge Point – Point Wilson line north to the line from Trial Island (near Victoria B.C.) – Vessel Traffic Separation Buoy “R” – Smith Island to the Lawson Reef Buoy to Northwest Island to the Initiative 77 marker on Fidalgo Island and west of the line from Reservation Head to West Point. SALMON – July 1st – Aug. 15th No min. size. Daily limit 2 (combined) plus 2 additional PINK. Release CHINOOK, wild COHO, and CHUM. See WDFW Regs for closures. SALMON – July 1st – July 31st CHINOOK – min. size 22″. Other SALMON species – no min. size. Daily limit 2 (combined) plus 2 additional PINK. Only 1 CHINOOK may be retained. See Southern Rosario Strait/Eastern Strait of Juan de Fuca Closure below. See Bellingham Bay Closure and Fishery, Samish Bay Closure, and Yellow and Low Islands Preserve in Reg Book. 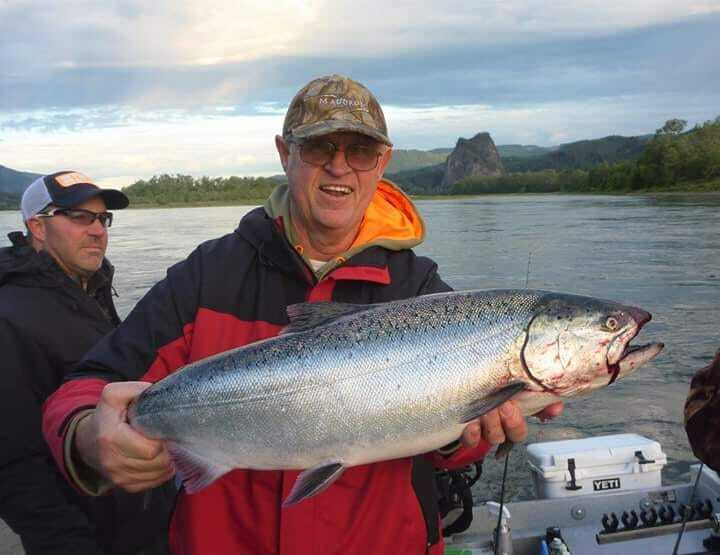 SALMON – July 1st – Sept. 7th : Daily limit may include 2 additional PINK. Anglers may fish with two poles with Two-Pole Endorsement. SALMON – July 1st – July 15th No min. size. Daily limit 2 (combined) plus 2 additional PINK. Release CHINOOK and CHUM. Marine Area 10 – From the Apple Cove Point-Edwards Point to a line projected true east-west through the north tip of Vashon Island. SALMON- July 1st – Aug. 31st No min. size. Daily limit 2 (combined) plus 2 additional PINK. Release CHINOOK and CHUM. See Duwamish Waterways Special Rules, Shilshole Bay Closure, Elliott Bay Fishery and Closure, Sinclair Inlet Fishery, and Mouth Closures. See WDFW Regulation book page 120. Marine area 12 – All waters south of the Hood Canal Bridge. SALMON – July 1st -Oct. 15th No min. size. Daily limit 4 (combined). Release CHINOOK and CHUM. 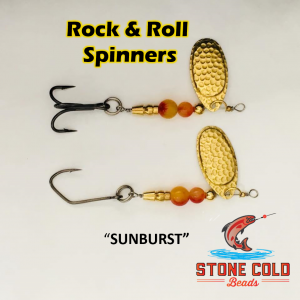 July 1st – July 31st : bait prohibited and only 1 single-point barbless hook measuring ½” or less from point to shank may be used. 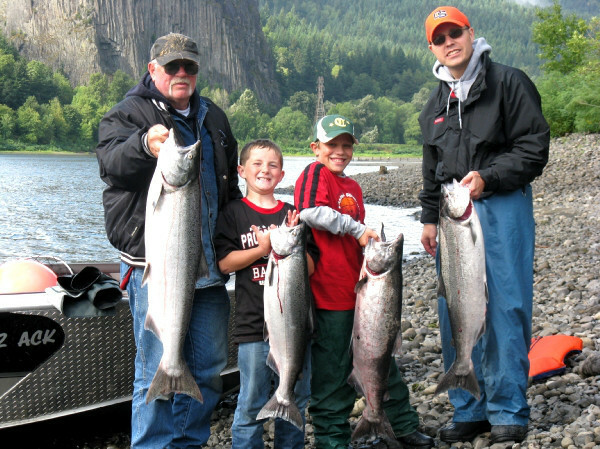 For other Washington fishing information such as fishing maps and area biography’s and more check out The Lunker’s Guide!